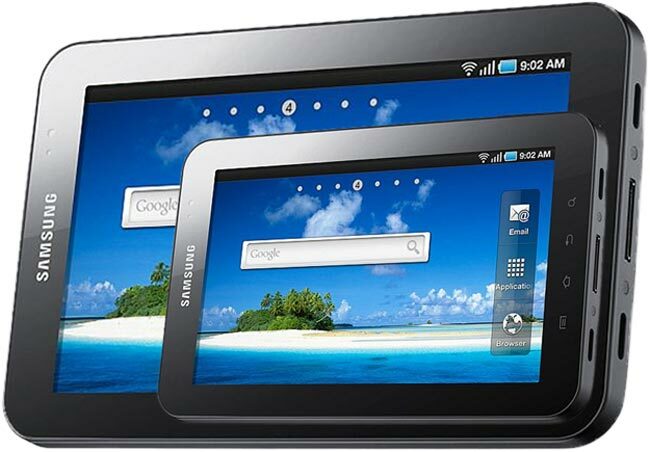 10 Inch Samsung Galaxy Tab To Launch Next Year? It seems that Samsung may be launching a larger version of their Android tablet, the Samsung Galaxy Tab next year, as the Samsung’s General Manager for Ireland recently told Silicone Republic that Samsung would be launching a 10 inch Galaxy Tab in 2011. No other details are available on the new larger 10 inch Galaxy Tab, as it seems that the Samsung General Manager let the details slip. The current Samsung Galaxy Tab features a 7 inch display, and is priced higher than the Apple iPad from what we have seen so far. A 10 inch version would probably be more expensive again. It will be interesting to see how well the Samsung Galaxy Tab does when it goes on sale next month, will it be able to compete with Apple’s iPad considering the higher price?